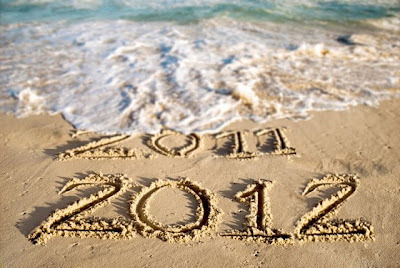 I think many of us are feeling like celebrating the end of 2011. Feeling thankful we are actually still here it to see it end, and that we outlasted all the drama of it. For all that was awful for so many people in 2011, it still isn't too hard to think of things that were also good too. 2011 flashed by in a blink of an eye (in retrospect) even though some of those individual days were a real grind. The thing I love most about the change of year is the feeling of letting go of all the old impediments that keep us back, and being able to become open and hopeful for all the joy and wonderful potential that the the new year holds. Hope must spring eternal or why would we continue to carry on. In 2012 my only goal is accepting peace into my soul. I have had enough of the fight and struggle over the last few years so in 2012 I just want to float and feel the serenity. While I actually realise that this seems wasteful, I have spent so many years fighting to get upstream I wonder what it would be like to actually stop and go with the flow. Perhaps all these years I have been missing my destiny by trying in earnest to reach some other perceived goal. I want to see what will develop if I can get out of the way and just let life happen. I am also going to say Yes to all the things I keep talking myself out of doing. Here's to you and yours and me and mine for a new type of New Year. Wonderful sentiments, here's to you!! Float and feel the serenity. I think I'm up for some of that too, Rebecca. Let's go day by day and minute by minute and enjoy and SEE each one! Thanks so much for posting on your blog. I really enjoy reading.